Beauty. Eye of the beholder and all that. And in terms of bodegas, the spectrum’s got it covered, from big and buxom to petit and bijou. As it turns out, I’ve been to a few in my time: here are seven of the most beautiful wineries in Mendoza that I love and you can visit, in no particular order. One thousand trucks overflowing with alluvial rock cleared the way for the Zuccardi family to plant in Paraje Altamira, Uco Valley. And much of these leftovers went into constructing their majestic second bodega, spearheaded by third-generation agronomist Sebastián, which opened March 2016. The jagged roof replicates the nearby Andes precordillera lower mountain range, the shining dome is in fact a vast circular tasting room and the cellar houses more than 240 custom-made concrete amphorae each storing between 2,000 and 10,000 litres of youthful wines. 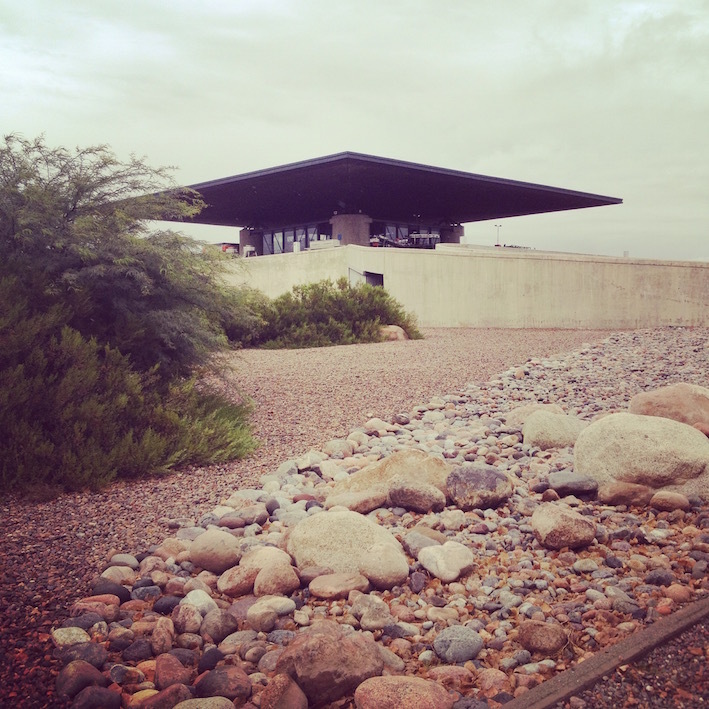 Piedra Infinita, as it’s known, was designed by architects Fernando Raganato, Tom Hughes and Eugenia Mora. This is Uco Valley’s most ambitious and epic winery project to date. Enjoy the ridiculously good-looking panorama over a paired lunch tasting menu. Take home: Zuccardi Aluvional Altamira Malbec 2013. 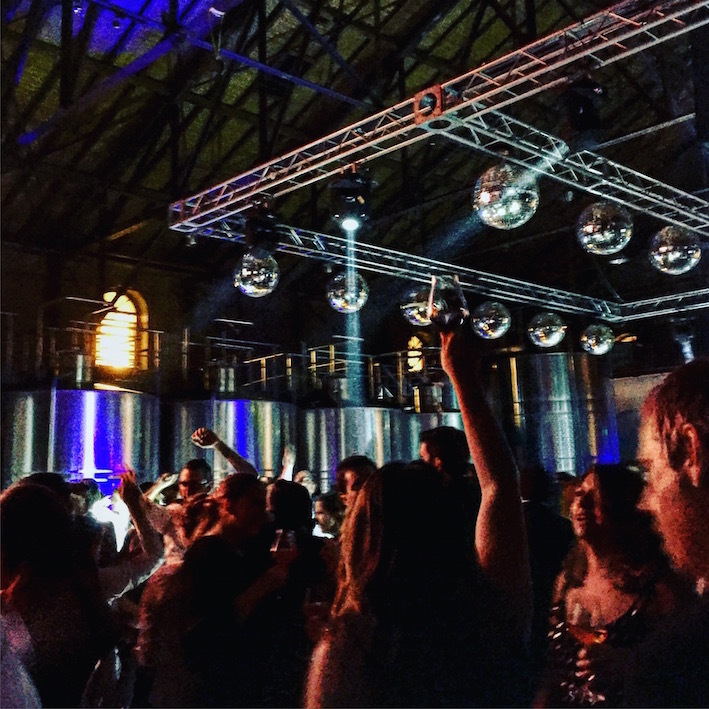 Venue for the after-party following the Best Sommelier of the World Contest 2016, which saw 600 somms raving till dawn next to wine ageing in stainless steel tanks (I was there, and there was raving a-plenty), Los Toneles is still fresh faced despite almost clocking up triple figures. Belle époque reigns here (Trapiche’s architecture is another great example of this architectural style) and Los Toneles was given cultural heritage status eight years ago. A great place to see top technology blending with venerable bricks and mortar. Book in for lunch. Take home: Tonel 46 Sauvignon Blanc 2015. Los Toneles: not usually adorned with disco balls. Pat and Vicky run the tiniest of spaces that has the biggest of hearts – and the grandest of Andes views. Finca Blousson’s tiny facility holds around no more than a dozen 225-litre barrels, walls chalked with oenological instructions. 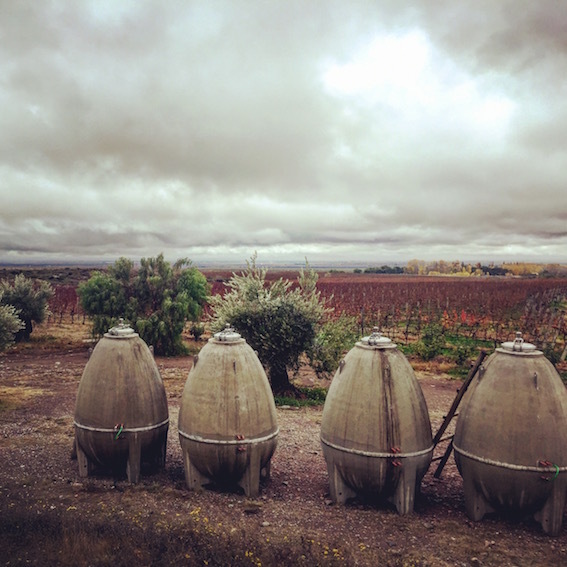 Three-quarters of half-a-dozen cement eggs nest outside the winery, silently bearing the chilly nights and steamy days. Despite small beginnings, there have been enormous recognitions: James Suckling recently gave them 96 points for Finca Blousson del Sol 2014 and 95 for Finca Blousson de la Luna 2014. Matías Michelini *might* be involved in the making of these wines. Book in for a hearty lunch or use it as a great Uco Valley base and stay at the two-room B&B. Take home: The third member of the family, Petit Blousson Malbec/Bonarda 2014. Three-quarters of half-a-dozen at Finca Blousson, Uco Valley. Bang! This place is ready to explode. And it’s certainly the only bodega in Mendoza that could be confused with a nuclear trigger. Owned by Spanish investment broker turned winemaker Juan Manuel Ortega, you can spot O.Fournier a mile off as you drive down Calle Los Indios in San Carlos. Take the tour; the cross-shaped cellar room is extremely impressive, with art exhibits updated throughout the year. Equally impressive is Urban restaurant’s tasting menu and incredible view across the reservoir and mountains. Take home: Urban Uco Tempranillo 2013. Another mini project, small and perfectly formed with a large conscience. 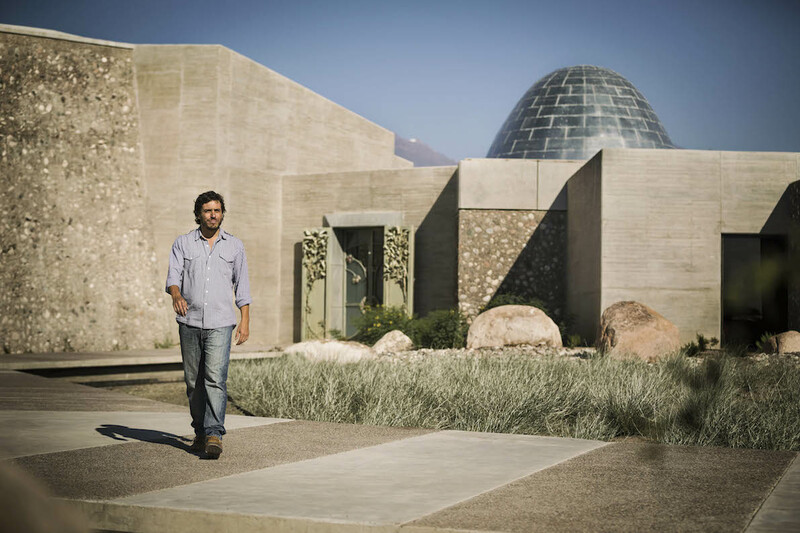 SuperUco, a biodynamic winery jointly run by the Michelini clan in all their numbers, is one of a cluster of bodegas at The Vines of Mendoza’s Winemakers’ Village. Architect papá Rufino Michelini constructed the hexagonal bodega that nests close to Ruta 92, and siblings Matías, Gerardo, Juampi, Gabriel, plus other halves Cecilia, Andrea and various kids planted gobelet-trained Riesling and Sauvignon Blanc on individual canes here around the winery in a circular form. Book in for lunch: goodies come straight from the biodynamic vegetable garden. Take home: The eponymous SuperUco Gualtallary Malbec/Cabernet Franc 2011 blend, of course. Small and perfectly formed: The Michelini clan’s SuperUco. It’s entirely possible that Dr. Nicolás Catena might have had a run-in with a bottle of Xtabentún as well as a Mayan spirit given Mexico’s architectural influence at Catena Zapata. And if that actually happened, then we’re all much better off for it. 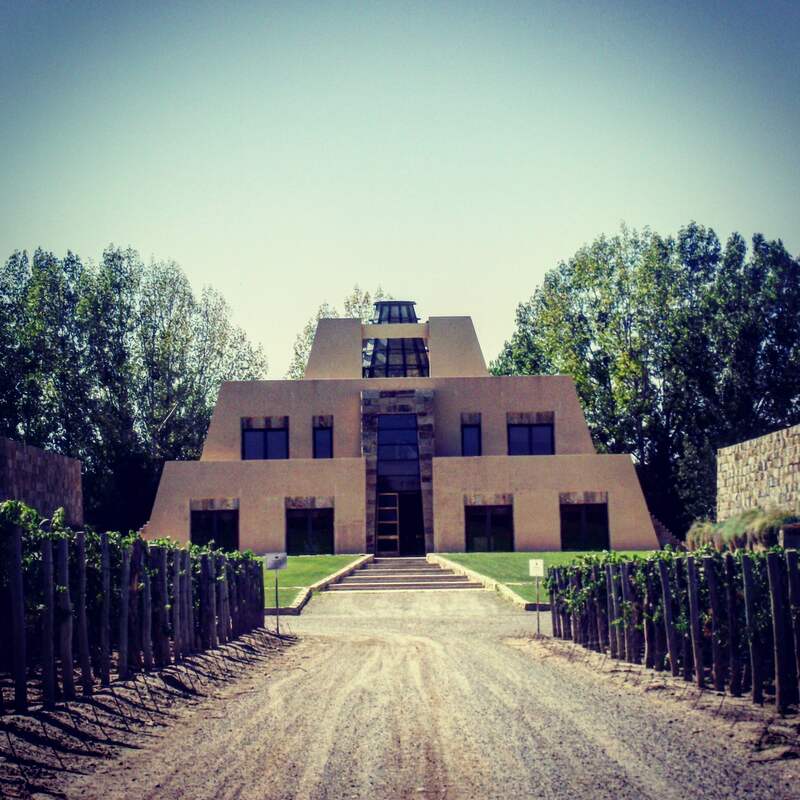 Catena Zapata is one of Mendoza’s most emblematic bodegas, given its curious yet breathtaking pyramid that houses an epic cellar room and wonderful Dalek-esque watch tower for a 360º vista of Agrelo. And as it’s one of the best-known names outside of Argentina too, sampling some CZ magic on CZ terroir is pretty flipping dreamy. Take home: White Stones Adrianna Vineyard Chardonnay 2011. No shamans were involved in the construction of this winery. 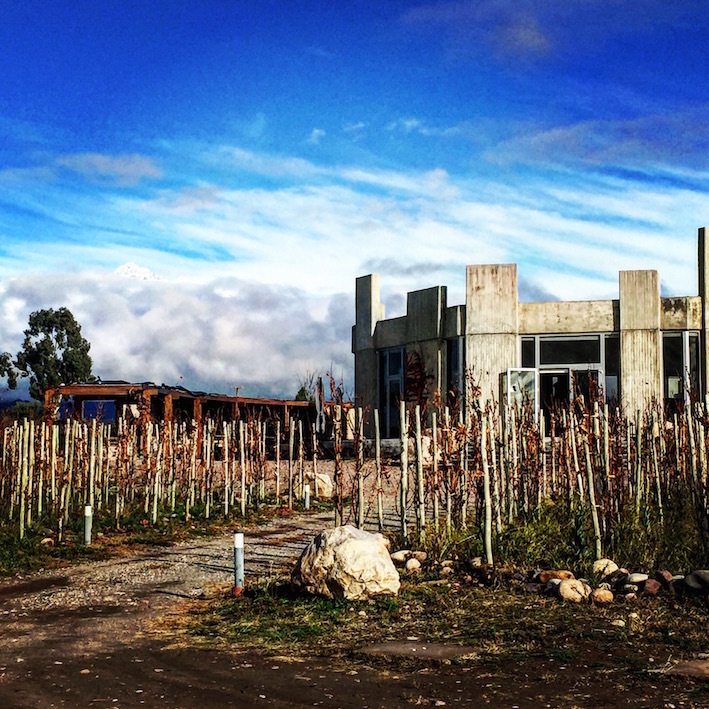 Aesthetes will adore Killka, the contemporary art gallery that houses a Rogelio Polesello installation, at the front of this Tupungato winery but the best is yet to come. 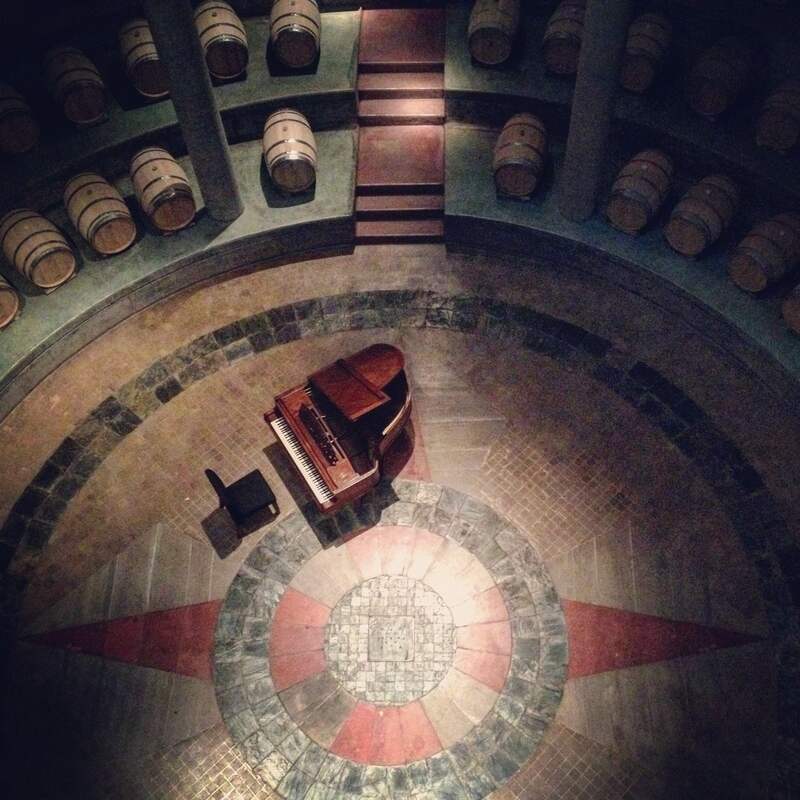 Walk through the vines (Pinot Noir if I’m not mistaken) to Salentein’s main bodega; look down into the the circular barrel room at the stunning compass rose. The cellar has two functions: care giver to wine and concert hall venue. Usually a grand piano dominates its surroundings; here it fades into insignificance until someone starts tinkling the ivories and marvellous acoustics kick into action. Your seat is next to the French oak barrels. Take home: The total bargain Portillo Sauvignon Blanc 2015.